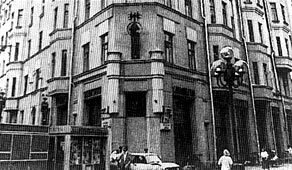 The story of the people who lived in the house on Arbat Street is the story of Russia in the 20th century. Built in the early 1900s, this grand apartment building was at first the residence of rich and privileged families. After the revolution of 1917, it was turned into a collective housing unit. People from different backgrounds were moved to this house and told, From now on you will all have to live together. Through historical footage and the reminiscences of former residentssome now 98 years oldthe incredible story of The House on Arbat Street comes to life.